The Induro CM34 Carbon Fiber 4-Section Monopod is a light and sturdy monopod that is great for providing some support for footed telephoto lenses in tight spaces. The twist-locking legs are moisture and dust resistant. This monopod comes with both a 1/4"-20 and 3/8"-16 mount screw. To access the other size, unscrew and flip the mount screw over. This monopod does not come with a tripod head. For super telephoto lenses that come with their own support collars with feet, the monopod can screw directly into the feet. For other lenses, a head is required for attachment and is rentable separately. 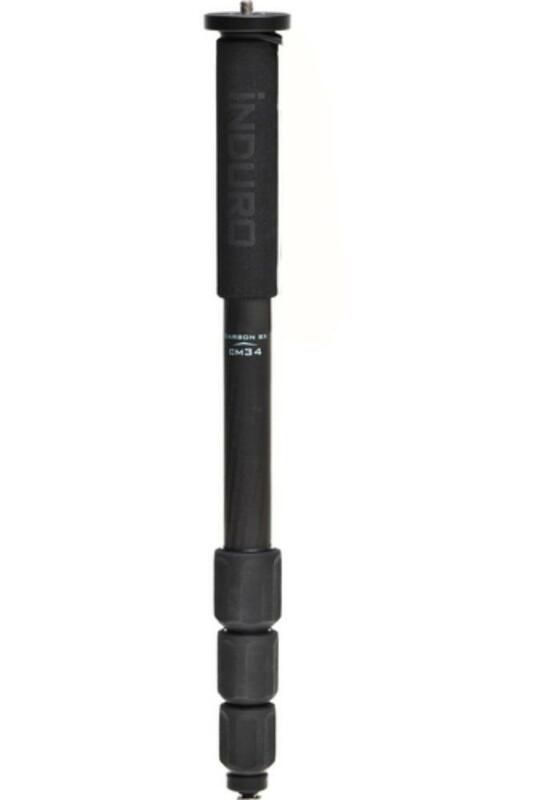 • This monopod comes with both a 1/4"-20 and 3/8"-16 mount screw. To access the other size, unscrew and flip the mount screw over. • This monopod does not come with a tripod head. For super telephoto lenses that come with their own support collars with feet, the monopod can screw directly into the feet. For other lenses, a head is required for attachment and is rentable separately.